March 22nd Watch & Meet folks from All Saints Episcopal! I first heard about All Saints Episcopal Church in Smyrna, TN from my friend, Lisa Lehr, a member of the church. If you'd like to see a great example of how God works through each of us providing healing and transformation to one another, join me on March 22, 6:00 p.m. at Providence United Methodist Church in Mt. Juliet, TN. 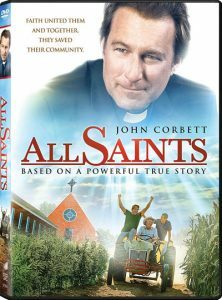 After viewing, we'll have an opportunity to discuss the film and the story behind it with members of All Saints. Before you declare, "This is what I want to do in 2019!" Spend time praying & reflecting on, "Who has God made me to be?" Leave the retreat ready for your doing to flow out of "Who I Am." 4:30pm-7:30pm at Mercy Convent near Opryland Hotel in Nashville, TN, $115- Covers private bedroom, 4 meals, Restorative Yoga, and 30 minutes of Spiritual Direction. Take a walk or nap, be creative, try a new way of prayer...the choice is yours. FULL. Email me to add your name to the waiting list! If the Christmas season is long & dark for you or you want to acknowledge that it's not the "Most Wonderful Time of the Year" for many in this world, please join me on CARE Night next Tuesday the 18th for our Longest Night Service. Contemplative, reflective music, some ancient laments, a handful of words, and an opportunity to light a candle in the darkness. You're welcome to join us for dinner between 5:15-6:30pm or just come to the service. As our world becomes increasingly polarized, how might wisdom from the early 13th century speak to the 21st century? Join me along with physicist Kim & Mary Francis Working and musician Jeff Miller as we consider how Saint Francis' views challenge today's popular beliefs about the Cross, the Earth, our relationship with God and each other. Through contemplative prayer, watching Franciscan priest, Richard Rohr's "Embracing an Alternative Orthodoxy" DVD, and soul-shaping conversation, we'll learn how we can become instruments of peace. Come for all or just for class! Join us at any class! Following Centering Prayer in the Training Room at 10:10 am for 30-40 minutes of meditative movement called Qi Gong (pronounced "Chi Gung" and very similar to Tai Chi). Learn how to slow down, appreciate, and strengthen the body God has given you! Discover how relaxed, flowing movements and conscious breathing invite you to connect with God and your body. No prior experience needed. All levels of physical ability welcome to engage this gentle kind of exercise. This free series will be led by Sue Prosch. Want to try Qi Gong at home? Here's a 10 minute morning practice. I also enjoy Mimi Kuo-Deemer. Here's her 5-Element practice. Whether you've never paid attention to your dreams before or have experience with dreamwork, this retreat is for all who would like to discover creative ways to listen to the wisdom found in their nighttime dreams as well as the power of group dreamwork! $115 (includes private bedroom/bathroom, 4 meals, and 3 sessions of group dreamwork) $50 deposit required. Limited to 10 people. 2 spaces left. Register here. If having trouble registering, email Kasey. 6 weeks of classes to help you live & breathe life to the full! Are you in perpetual survival mode? Feel like you're drowning or being chased by a bear? 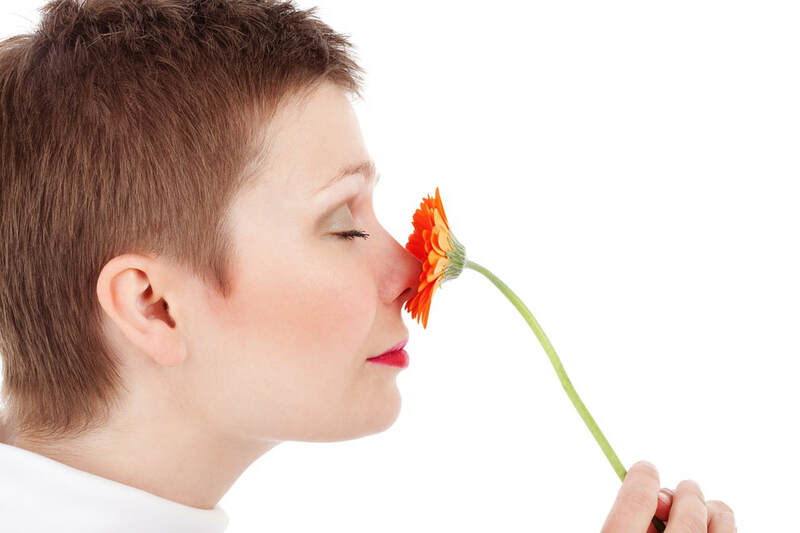 Do you hold your breath, shallow breathe, or have difficulty breathing at night? Join me for an experiential class focusing on ways your breathing can impact your physical, emotional, mental, and spiritual health. Each class will include simple & fun breathing exercises along with reflecting on Scripture, breath prayer &/or meditation. We may even utilize the new hiking trail for a couple of classes if the weather cooperates! CARE Night at Providence Church, Mt. Juliet. We showed this twice in January, people are still talking about it! The DVD is available on Amazon. ...takes us on an immersive cinematic journey around the globe– from a traditional tea ceremony in Kyoto, to the streets of the loudest city on the planet, Mumbai during the wild festival season – and inspires us to experience silence and celebrate the wonders of our world." To watch the trailer, go here. Dr. Henry Cloud, Max Lucado, Beth Moore, Richard Foster, and more are interviewed on the value of silence and reflective prayer in deepening our relationship with God. Want to be one of the 7 women who'll meet at my house to listen to God? 2 spaces left! Do the holidays bring sadness rather than joy for you? Have you lost someone or gone through a loss of some kind this year? Does emotional or physical distance separate you from loved ones? There are many reasons why Christmas may bring stress and tears rather than smiles. Whether you are struggling or want to acknowledge there are many in this world who are, join us for The Longest Night of the Year Service. We'll listen to instrumental music performed by Russ Hitt & Jeff Miller, hear laments from Scripture, be led in a guided prayer, and experience the presence of God through each other as we sit in darkness together before lighting a candle of remembrance & hope. If you are unable to join us, you can read the "Voices from Scripture," listen to some of the music, and read a guided prayer here. Feeling tired? Especially after Easter weekend? On Wednesday, April 19th from 9am-4:30pm, join spiritual director, Kasey Hitt, at Mercy Convent (near Opryland Hotel) where she'll guide you into some Sabbath-time. You can take a nap or a walk, be a kid again as you play with creative materials or juggling scarves or learn a new way to pray...the choice is yours. Cost: $12 for lunch only or $20 for lunch and a private bedroom (10 now available). 30 minutes of spiritual direction is available for an extra fee of $33. Register with Kasey by April 11th. 8 private rooms still available. All pastors (senior, associate, children's, youth, congregation care, worship, etc.) are welcome! So they went away by themselves in a boat to a solitary place... Are you ready to join Jesus in the boat? Venture deeper into silence at Monastery Immaculate Conception, the place affectionately called "The Castle on the Hill," in Ferdinand, Indiana. Thursday-Saturday, April 27th-29th from 2pm-2pm. Tour the historic home of these 150 Sisters of Saint Benedict, enjoy visiting with other retreatants and a candlelight service before silence begins. You're free to participate in the Liturgy of Hours (the Sisters' rhythm of daily prayer), rest, create, walk the grass prayer labyrinth, discover God and yourself anew. This year's theme: "Castles on Hills, Secret Gardens & Magic Wardrobes: How Children's Stories Can Speak to Adult Souls." 4 spaces available. Fee: $220 (includes private bedroom, spiritual direction and 6 meals). Early bird discount of $20 off if registered with $50 deposit by March 2nd. The going rate for this kind of 3-day silent retreat is $500+, thanks to Providence Church for making it more affordable for each retreatant! THIS RETREAT IS NOW FULL but you can be placed on a waiting list. You will be contacted if/when someone cancels. Two hours. Once a month. Four Fridays. Two spaces available. Learn the practice of listening prayer. Listen for God in each other's stories. Enjoy some scones and silence! 9:30-11:30am at my house, $160 for all 4 sessions. Learn more about this kind of discernment group here. THE SPRING GROUP IS NOW FULL. If it interests you, let Kasey know if you would like to participate in a group this fall.